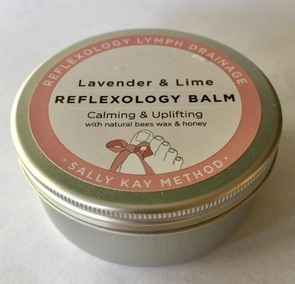 Lavender & Lime has both calming and uplifting properties. Lavender is well known for its many therapeutic properties and actions, including a harmonising effect on the nervous system, relief of muscular aches and pains and it is commonly associated with preventing infection and promoting rapid healing of the skin. Lavender enjoys the status of being the most popular and versatile essential oil on aromatherapy. Lavender is sedative with a harmonising effect on unproductive stress*. Together they are calming and uplifting. Lavender & Lime Ingredients: Helianthus Annuus (Sunflower oil), Cocus nucifera (Coconut oil), Buxus chinensis (Jojoba oil), Cera alba (Beeswax), Mel (Honey), Lavender (Lavandula augustifolia), Lime (Citrus aurantifolia), Vitamin E. Citral, Geraniol, Limonene, Linalool.